Japanese based timber company Sumitomo Forestry has revealed a proposition for the world's tallest wooden building. 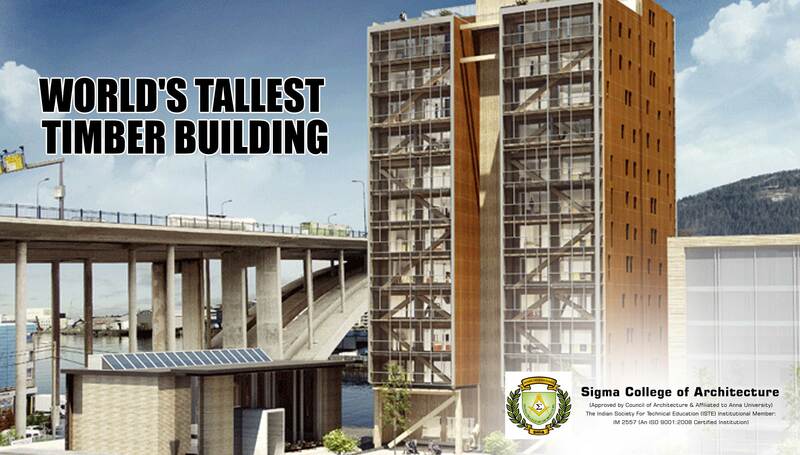 The current world's tallest timber building is the 18-storey Brock Commons Student Residence in Vancouver, Canada. Sumitomo Forestry aims to construct a 70-storey, 350-metre hybrid timber skyscraper in Tokyo. This would also subsequently become Japan's tallest building. The building would use a "braced tube structure" with columns and beams made from steel and timber. A staggering 185,000 cubic meters of wood is planned to be used in its construction and is expected to make up 90 per cent of the hybrid structure. The construction of buildings made from timber was given a boost in 2010 contrary to the fire risk which greatly reduced the number of wooden buildings in Japan. The building cost is estimated at £4.2 billion. Here at Sigma College of Architecture, one of the Top Architectural Colleges in Tamil Nadu we help our students broaden their horizons by educating them on projects that have a very challenging aspect about them.